Release Party for “My Name is Don!” March 31, 2012, World Famous Kenton Club! This is the one not to miss. 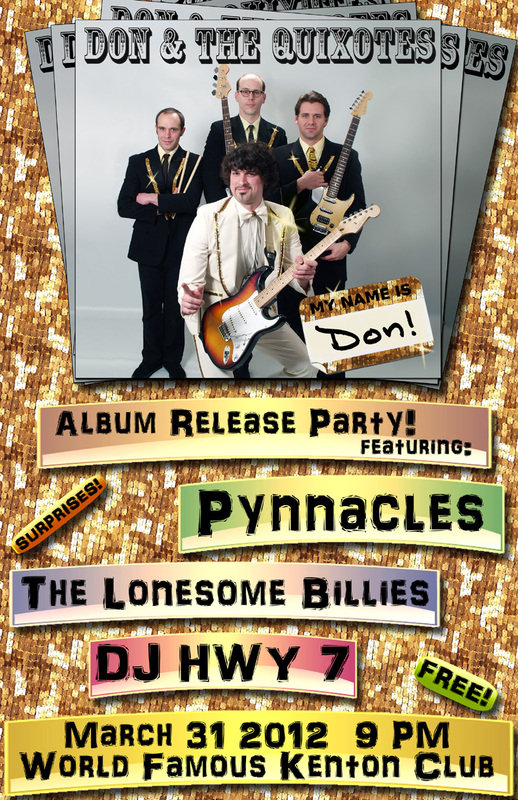 Come celebrate the release of Don & The Quixotes’ 1st album, “My Name is Don!” and you’ll be rewarded with great bands including Pynnacles and The Lonesome Billies, hot slabs of wax provided by DJ HWY 7, prizes and surprises! Plus it’s FREE! You will have fun.